Have Fun inside improving while winter is here. A little shelf here, a big shelf there. You’d be surprised where they can fit. Finally, you get to take that beach vacation in the dead of winter. But where is your beach towel?!? You know it’s somewhere in that linen closet, but (sigh) it’s so crammed you can’t find it. One of these days, you’re going to have to figure out how to get more storage space so you can find this seasonal stuff faster. But the last thing you want to do is go out and buy more stuff to put more stuff in. There’s a better way — shelves. Not the bookshelf kind (they only take up floor space), but shelves you can incorporate into your home’s architecture for an interesting, personalized look that also solves nagging storage issues. Seems like your bathroom can never have enough storage, especially for that recurring avalanche of towels in your itty-bitty linen closet. But if your ceiling is high enough, you’ve got enough space to tuck those extra towels you only need for overnight guests. Opt for larger items that are easy to see and grab, such as towels, bedding, or bath tissue. “If this were filled with tiny boxes or soaps, it would look like you needed more storage and had to start building down from the rafters to hold stuff,” says Lorraine Bohonos, professional organizer and owner of HomeFree, in Rochester, N.Y. says. Plus, it’s impractical to store tiny things up high where you can’t see them. Gasp! Who would put shelves in windows and block the light?! You would, if they’re glass shelves. Adding glass shelves in a sunny window for indoor plants is a great way to allow light and nature to filter into your home. Plus, glass shelves have such clean lines, Bohonos says, so they don’t overwhelm the room. As with those pictured, keep the bottom shelves and floor space relatively open to let in plenty of light. “It gives an airiness and it’s inviting,” Bohonos says. You get some storage without having to give up privacy or natural light. The space under stairways has been used to stash everything from vacuum cleaners to boy wizards, but you can open up that space to be visually appealing as well as functional. “Doing this adds interest to a space that would be pretty boring without anything there,” Bohonos says, and makes a room feel larger. “Shelves like this make a nice horizontal balance to the shape of the space. For storage, you can put containers on the floor underneath,” Bohonos says. But you don’t want to overdo it or you’ll ruin the spacious effect. There are all kinds of storage space around us if we just look. In most walls, especially in newer construction, studs are 16 inches apart. Knock out the drywall between those studs, and you’ve got a spot for built-in storage that gives your home that something special. 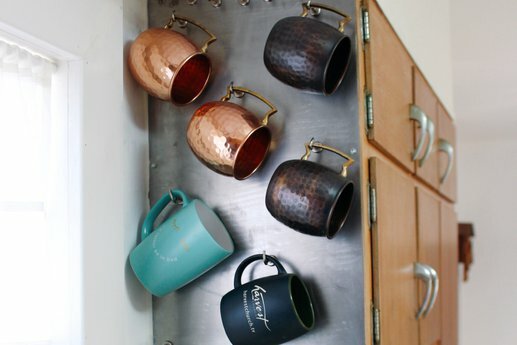 “These kinds of shelves have clean lines and add a bit of interest,” Bohonos says. But she cautions that things should be neatly placed and in good condition. “If it’s well set up, it can look like a piece of art,” she says. Now that you know about the secret spaces in your home’s walls, opening up your kitchen walls (especially all the way up to the ceiling) is a very doable idea to maximize every inch of a small space. “This is functional beauty. It has to be pleasing to the eye — and look as if every item has a mindful spot,” Bohonos says. She suggests that before committing to open shelves in your kitchen, ask yourself if you’re okay with what people will see there. If not, get back to your regularly scheduled weekend. Otherwise, curate what will live on your new open shelves (and, remember, you’ll have to dust more often than usual). Focus on function and form. If you entertain often, don’t put your favorite serving plate on the top shelf — no matter how good it looks there. Put rarely used attractive items (that Le Creuset roaster you only use on Thanksgiving) up there instead. 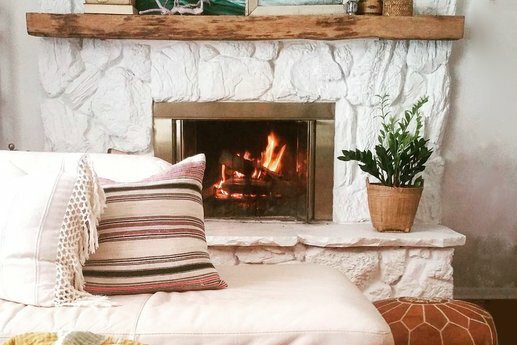 Keep your DIYing going year-round with these indoor winter home improvement projects.